There is a good movie somewhere inside of “Why Stop Now,” which opens today in select theaters, but it suffers from tonal inconsistencies and a series of implausible plot points that make it impossible to suspend one’s disbelief. To put it succinctly, it suffers from common failures of first-time filmmakers. Let’s start with the opening premise, which could have been written by an indie film Mad Lib: Eli is a twenty-two year old piano genius who is still living at home, playing the role of family caretaker, while his mother, Penny, (Melissa Leo) gets high and paints on the walls of her room. His little sister Nicole is exhibiting signs of severe stress and an inability to play well with others. On this particular day, Eli has an audition for a music conservatory, but he needs to ensure that his mother will gets off the drugs so that he can accept his scholarship and not worry about Nicole. Eli has chosen the day of his audition to take his mother to rehab. Because Penny has no insurance, the only rehab facility in town will not take her unless drugs show up in her urine test. The rehab admittance officer advises Penny to go get high, in which case she will be admitted without insurance. Because Penny owes her drug dealer money, Eli is forced to go buy the drugs herself. 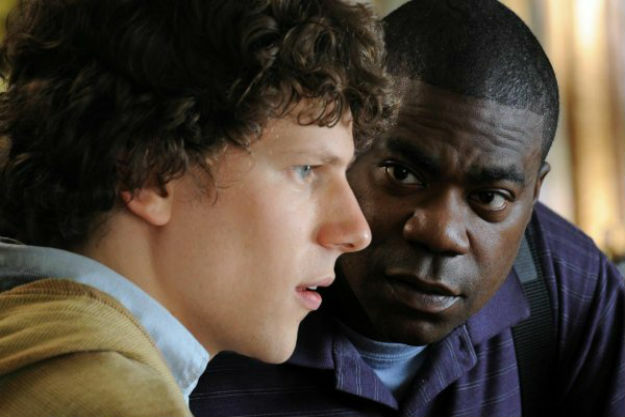 The dealer, named Sprinkles (Tracy Morgan), is out of drugs, but when he learns that Eli speaks Spanish, he allows Eli – a preppy-looking kid he just met – to accompany him to a negotiation with his source so that he can translate. The dealer would then spend the rest of the day hanging out with Eli and, eventually, Penny for fun. These plot points transpire in the space of about 25 minutes, by the end of which it is nearly impossible to take the film seriously. Which wouldn’t be a bad thing, if the movie had a madcap comic energy about it. Unfortunately, debut filmmakers Phil Dorling and Ron Nyswaner don’t trust their material, so they vacillate between comedic hijinx, overwrought sentimentality, and thriller elements so often that it is impossible to find your bearings. This makes for a discomforting viewing experience, and despite a few excellent scenes, the movie just never finds its groove. A tonal imbalance is not always a bad thing. For example, there is a great scene about halfway through “Why Stop Now” in which Ike and Sprinkles have a heart-to-heart over shots of tequila at a sweet sixteen party. It’s a quiet moment amidst 90 minutes of chaos, and it is a welcome relief. But moments of small drama work best when surrounded by an otherwise consistent tone – their effectiveness lies in the contrast. When the movie swings wildly between genres, there is no contrast because contrast is all there is. Still, Morgan deserves recognition because his performance embodies what doesn’t work about the film – but it works in a character. Sprinkles is alternately menacing, funny, vulnerable, and sad. It is perhaps the best use yet of Morgan’s unusual set of talents – he has an element of danger that is rare in actors – and it hints at his potential impact as an actor in the right setting. Unfortunately, this is not that setting. If these first-time filmmakers had a little more confidence in their script and the abilities of the excellent cast, they might have found a way to let the story breathe. As is, “Why Stop Now” forces itself upon us with a variety of genres and moods, and in the end, the whole is less than the sum of its parts.